One of my besetting sins as an author–not as a writer, that’s different–is that I have a tendency to leave things too much in the rearview. It takes some effort not to regard something I wrote last week with a baffled air of, “That? But that was last week, let me tell you what I’m working on now.” Since what I’m working on now is, by definition, not something that is finished and visible, this is not a functional approach to sharing one’s work with the outside world. Short story collections are even less functional if you’re not able to talk about things you used to be doing. They have to pile up! And while they are piling you are doing something different. In this case, my ebook collection of children’s stories from Tired Tapir Press is now a shiny new paper edition. 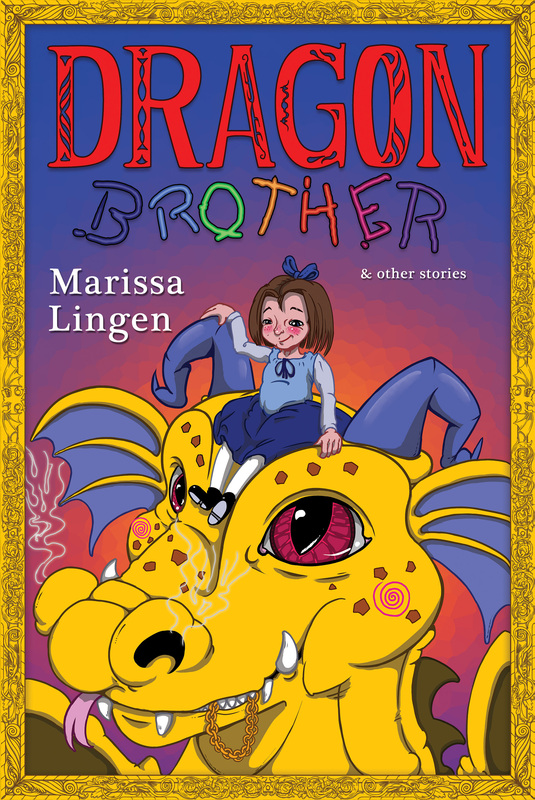 It’s called Dragon Brother, and it’s got a shiny new cover by a local young artist with a comics specialty whose style is perfect for the youth content of the stories. So…yay new edition, yay new cover, yay book! Congratulations! That is an adorable cover. Congrats! I went to buy it, and Amazon wouldn't let me because it's already in my Kindle library. I'll have to have the kids read it!!! That is a useful data point to have, because there is no reason you shouldn't be able to buy the paper copy if you already own the Kindle copy. I will poke the publisher with this information. Thank you. Oh, I love the art! David gave me this as an e-book but hmmmm. Yay, I put in a staff request for my library to buy the paperback!